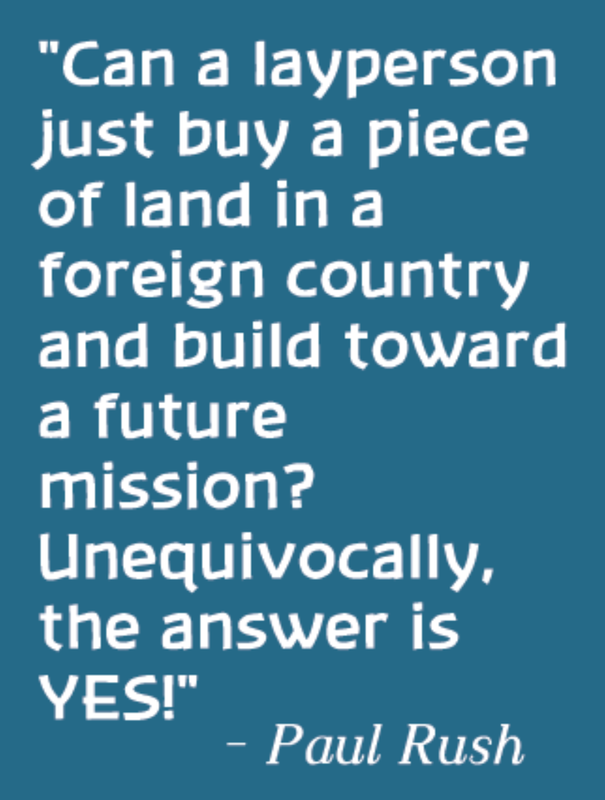 So, here we are ten years later with the initial question answered: can a layperson just buy a piece of land in a foreign country and build towards a future mission? Unequivocally, the answer is YES! Sensing that the vision I had would not be well understood at first, I just decided to take the initiative, make the investment, and work towards the completion of the inspiration. For the first five years I visited Nicaragua often, but lived in the U.S. in order to finance this back burner mission vision. After five years, I finally gave my true fiat to The Lord. I would love to say it was a resounding ‘YES Lord, I will sell everything and go to Nicaragua!’ It was more like, ‘Don’t you know I am going to die, how will I survive?!? If you really want this Lord, you will have to sustain me.’ And that, my brothers and sisters, he has. After becoming a full-time resident at the mission in Nicaragua, which is still without running water, Paul lived completely on Providence. Somehow, he always managed to have enough to pay the local workers who helped him build his mission and always found the strength to persevere even though he often felt isolated and alone. Years of loneliness and spiritual war fare began to wear on him, but God had a plan, a plan that would unfold in HIS own perfect timing. There was a woman on the other side of the world who was waiting for him. What an inspiring mission yours is. Indeed, God needs more missionaries like you to tend to His children. I admire your selflessness and utmost BRAVERY in venturing way out of your comfort zone to help make the world a better place. I also commend your resolve to put your hand on the plow, so to speak, as a lay missionary, with such an initiative as this. I am sure that it was not the easiest decision you have made, but as your namesake, St. Paul, has written in Romans 8:28, ‘to those who love God, everything works together unto good.’ I would love to go visit Nicaragua someday and partake in your mission, God willing. I come from a missionary family myself (my parents have gone on mission to India to establish Couples for Christ there), and I have been to the southern cities of the Philippines during my high school years to establish Youth for Christ there. Right now I am involved in Gawad Kalinga, a poverty eradication movement with programs for shelter, health, education, livelihood, values formation, community empowerment and environment. Please email me back. I would love to hear more about your mission and perhaps we can exchange best practices that can help us improve in our respective missions. Bing was also active in Singles for Christ. Throughout my entire 30’s I toiled with the call to build a mission and serve the poor — something with which I am still toiling. More than a year ago I awoke one day utterly exhausted and unable to go on — and yet, found myself continuing for a little while more. Plagiarizing yet another saint, I recently read a quote saying: ‘The Lord asks us to do what we can until we no longer have the capacity — and then He takes over and does it.’ Well, I was at that point? I couldn’t go on, and then He sent me the most beautiful angel my eyes have ever seen. Her name is Lorelei. Our discernment for a future life together began to burst wide open as we decided to do a 33-day consecration retreat to Our Lady. During a trip to the Philippines, Paul proposed with his grandmother’s ring. Lorelei made the courageous decision to leave everything behind: her family, her friends, her home, and her job, to unite with her future husband in continuing the mission. 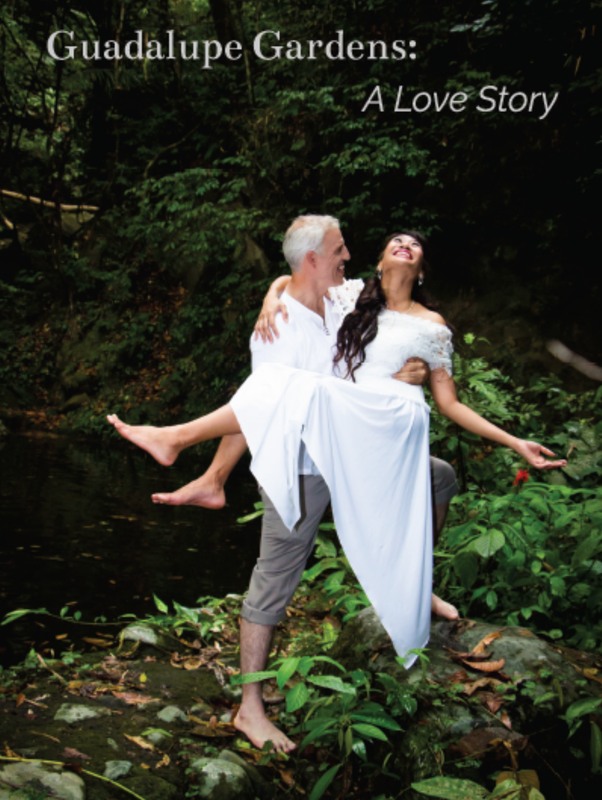 They were married on April 26, 2016, in the Philippines and, after joining Couples for Christ, traveled to Nicaragua as one to continue building up Guadalupe Gardens together. They know that the road ahead will be a difficult one and they are prepared to experience the cross of marriage. Aside from the traditional bouquet, I carried a crucifix and, before we kissed, we each kissed the crucifix first. It is a practice from the Croatian people of Siroki Brijeg in Bosnia and Herzegovina that reminds couples that their married life is their way to salvation. Each may, at times, be a cross for the other because both are sinners, and Christ is manifested in their marriage as their salvation. The crucifix used at their weddings is placed in a prominent place in the couple’s home, and in times of trouble, they look upon the cross and are reminded of their wedding vows. It is effective, for indeed, no record of divorce has ever been filed among the 26,000 residents of that town. 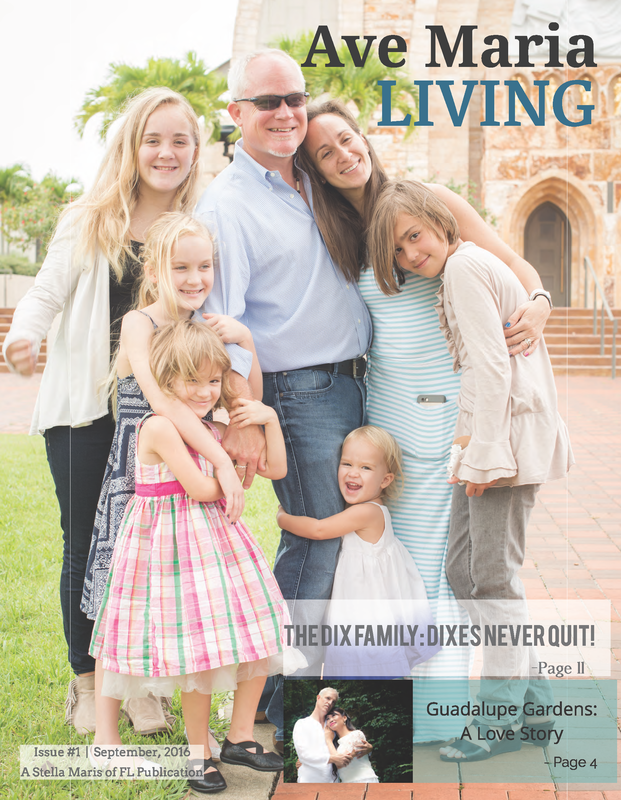 Guadalupe Gardens has grown and developed much since its infancy. As of June 3, 2016, it was granted non-profit status by the IRS. Recently, it has seen an ever-increasing amount of missionary activity — several groups of high school students from Ave Maria’s Rhodora J. Donahue Academy have participated in mission work there, as well as several young adults who made longer term mission trips there this summer, two of whom just graduated from Ave Maria University. There is a young missionary family from Wisconsin (a couple and their one-year -old son) who have committed to spend a year living there and helping the newly married Rushes with the mission. Ave Maria’s own Peter Scheck, who had spent a great deal of time in Nicaragua working at Los Quinchos, a holistic rehabilitation center whose mission is to reaffirm the human rights of street children — a secure home with food, shelter, an education, and the right to a peaceful childhood, has now spent nearly two years as a missionary at Guadalupe Gardens. It has taken much time to develop, but Guadalupe Gardens is starting to become that missionary hub that Paul had envisioned from the beginning. As the mission continues to flourish, it’s clear that the wait has been worth it; as Paul and Lorelei both know very well, God’s timing is always perfect. By Taresa Fassbender – originally published in the inaugural issue of the print magazine Ave Maria Living, Issue #1, September 2016.